Our tips show How to speed up a slow iPhone your slow old iPhone and give it a speed boost for faster performance. Lots of our readers ask us how to speed up a slow, old iPhone. It’s a common problem. You may find that your phone is a bit slow if you haven’t got a lot of space free, even if it’s a newer model. Or maybe your iPhone has been performing more sluggishly since you updated iOS. All computing devices are prone to slowing down over time, as memory fills up and extra software is installed, but the way iPhones use their memory makes them less prone to this than most. It’s possible that it just feels slower than it used to, because you now take for granted what initially seemed dazzlingly quick performance, or have started to compare it to friends’ newer, faster models. But if the interface seems unresponsive, apps take longer to open or it just isn’t the swift device you remember, it’s possible that a few tweaks could speed things up again. In this feature we look at some methods to try. At time of writing Apple’s current operating system for the iPhone and iPad is iOS 11. Assuming your iPhone supports the latest version, updating will grab the latest patches and fixes for known problems, and this is generally our first suggestion. But be wary. It’s a great strategy for newish devices, but on older smartphones, it’s possible that updating will actually slow it down, because it struggles to run the more demanding OS. The next version of the software, however, offers something different. Apple says that iOS 12, slated for an autumn release (and currently available in a pre-release beta version) will offer substantial speed boosts even when installed on older devices. If your software is up to date, it’s time to try a few fixes. Let’s start with an easy solution: closing down all non-essential apps. Double-click the Home button to bring up the currently running apps. Swipe upwards to close them. You can swipe to close three apps with up to three fingers to speed up the process a little bit. Irritatingly, there’s no way to close them all at once. We’re going to close down everything, then start again from scratch. We’ve always recommended this as a first step, and from personal experience we believe that it helps speed up our devices, but recent research and comments from Apple itself has suggested this is not the case. Let’s restart the iPhone completely. Press and hold the Sleep button (the one on the top right of the iPhone on iPhone 5s and earlier, or on the right edge on iPhone 6 and later) until the Power Off slider appears. Swipe it and wait for the iPhone to power down. Once it’s finished (it’ll take about 10 seconds or so), start the iPhone up again by pressing and holding the Sleep button for about 5 seconds. You’ll see the Apple icon, then the iPhone will restart. You shouldn’t have to do this very often, but when you do it’ll clear out the memory and can often fix unruly apps. The occasional power cycle helps keep iOS ticking over. If you’re running out of space on your iPhone this could account for the sluggishness. One quick way to free up a chunk of space is to delete a few apps. Identify which apps are taking the most space by going to Settings > General > Storage & iCloud Usage and then tapping ‘Manage Storage’ under Storage. You’ll now see a list of apps and how much space they’re taking up on your phone. You can easily delete apps you don’t need here by tapping on the app name, and choosing Delete App on the next screen. You should aim to have at least 1GB space left. You can also delete apps from your Home Screen by pressing and holding the app until it jumps about, and then tapping on the X that appears in the corner. Next you should try emptying Safari’s data, cookies and so on to free up some memory. Open the Settings app and scroll down to Safari. Here you can choose ‘Clear History and Website Data’. Bear in mind that this action may make browsing the web a bit less convenient for a while. Safari will forget the URLs you’ve been visiting so won’t suggest them as you type, unless they’re bookmarked (although it will start remembering new ones from now on). And clearing data may mean some websites forget your preferences. Getting rid of automated features will help keep your iPhone running faster, and help extend your battery life as well. The following feature was added way back in iOS 7, so if you’ve got that or a later version, you can benefit from it. Start by turning off Automatic Downloads. Tap Settings > iTunes & App Store > and turn all the Automatic Downloads off. Next, turn off Background App Refresh. Tap Settings > General > Background App Refresh and turn Background App Refresh off. You don’t need these processes going on in the background and you’ll see a big boost in battery life as well as a noticeable increase in performance if you stop them. iOS 7 also introduced some fancy new visual effects, but dialling them down can help to improve performance. Start by turning off Motion. Tap on Settings > General > Accessibility > Reduce Motion and set Reduce Motion to On. This turns off the parallax effect of icons and alerts. Many people also find the phone easier to use in this setting. Next you can reduce the see-through background effects which can also slow things down on an older iPhone. Tap on Settings > General > Accessibility > Increase Contrast and set Reduce Transparency to On. A more drastic step than restarting the iPhone, a full reset takes longer but is a more effective way of solving problems with the way an iPhone is running. Press and hold the Home and Sleep buttons at the same time. Keep holding them while the screen goes black (the red power-off slider may appear – if it does, just carry on holding the buttons), right up until the Apple logo appears. When that appears you can let go. We’ll continue on our quest to free up memory by freeing up some space on the iPhone. Start by opening Messages and scroll down to find any message threads that you can manage without. Swipe to the right and tap Delete. Deleting threads with only text-based messages won’t free up much space on your device, so it’s worth concentrating on threads that include a lot of images, videos and voice notes. Choose More, and then tap on all the images you want to remove from your device. If you are sent a lot of audio messages you can chenge your settings so that they don’t stick around after you have listened to them, freeing up lots of space in one go. Simply open the Settings app, navigate to the Messages menu, scroll to the bottom and change the expiry of audio messages from ‘Never’ to ‘After 2 minutes’. With this setting, any voice messages you receive on the device will automatically delete themselves after two minutes of being opened, which will keep your storage free. Okay, let’s get serious and free up a lot more storage. Open the Settings app, then tap General, and Usage, like you did when we were uninstalling apps. You’ll see how much storage space is left and which apps are using up most of the space. If you’re anything like us, the top two culprits will be Music and Photos & Camera, because these apps’ storage usage includes music, images, and videos. We’d suggest keeping at least 1GB free just to make sure there’s some free space for iOS to shunt files around without having to do too much juggling. Open the Music app and find the non-vital track, album or artist that you want to delete. Swipe to the right and press Delete. To copy photos to your Mac, and remove them from your iPhone at the same time, plug the iPhone into the Mac and open Image Capture (assuming you’ve not set it to open automatically when it detects an iOS device). Tick the option ‘Delete after import’ at the bottom left. Click the photo you want to copy across, or select multiple consecutive photos using the Shift key, and drag and drop them into a folder on the Mac. You’ll see a green tick appear next to them in Image Capture, to show that they’ve been downloaded. If there are any photos on there that you don’t want to keep but still want deleted from the iPhone, select them and click the red circle at the bottom. Image Capture will confirm you want to delete the photo. Of course, you can also delete photos on the phone itself. Open the Photos app, find the images you want to delete, tap ‘Select’ and then tap on the images you want to delete. Then tap the bin icon and confirm to delete the photos and videos you’ve selected. You will then need to go to the Recently Deleted folder to actually delete the images though as Apple keeps them on your device for 30 days just in case you change your mind. Here’s a tip – if you take a lot of Screenshots on your iPhone find the screenshots album and delete them there. You could also delete the Burst photos you take – where you end up with 14 pictures because you kept the shutter button pressed too long. Since iOS 10.2.1 Apple has been slowing down older iPhones that have ageing batteries in order to elongate their lifespan. Older batteries, cold weather and low charge can shut your phone down without warning, and so the performance of older models is automatically reduced to prevent this. Find out how to check if you need to replace your iPhone battery because its battery is slowing down your handset. Also learn how Apple has greatly reduced the price of a replacement battery and how you can get a new one. It’s even cheaper if you buy a new battery from eBay, but it’s a tricky procedure, and Apple warns against these non-official batteries. The next stage is to restore it from a backup. If you’ve backed up recently, you can simply restore from that. Of course, since you’re using an old backup it’s going to undo all of the changes you just made to your device, so you may have to go through some of the steps all over again (which may include deleting things all over again). 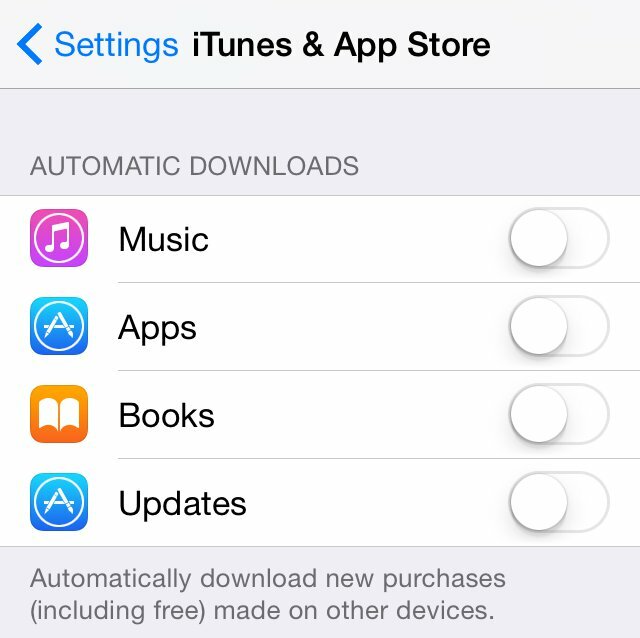 Since we’re deleting all the data, it’s vitally important that you back up the iPhone: either back up to iTunes by connecting the phone to a computer as above; or to iCloud, by opening the Settings app, then scrolling down to iCloud, then Storage & Backup, then Back Up Now in iOS 6 or turn on iCloud Backup in iOS 7 or later. Now you can restore the iPhone to its factory settings by going to Settings, General, Reset, Erase All Content and Settings. You’ll then have to enter your passcode if you’ve got one, and then confirm that you want to delete all media and data, and reset all settings. After a few minutes of restoring, you’ll be presented with the welcome screen you saw when you first started up the iPhone. If none of the above techniques work, it’s time to decide whether the speed of your iPhone is a serious enough problem for you to take it up with Apple. If there’s a problem with a component, the issue may be covered by your Apple warranty if you have one – check out our guide to Apple iPhone replacements for more on your legal rights. As we mentioned above, slowness can be a matter of perception, but if you’re sure something’s up, and you’ve tried all our tricks, you may wish to ask Apple if they can check for a hardware issue. If Apple can’t help, or the company’s help is too expensive to be worth it, we reach the final option: give up on your older iPhone and buy something newer.